What makes the Brazilian market for luxury goods distinctive? How extensive is the presence of LVMH Houses in this market, and what opportunities do they see? 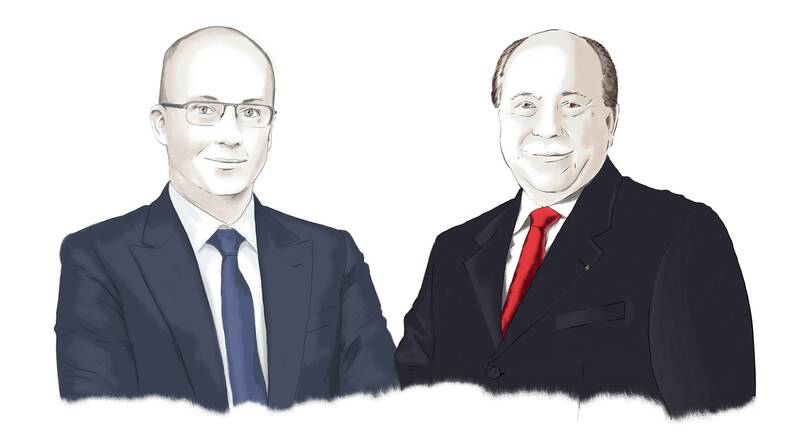 We put these and other questions to two of our executives in Sao Paulo: Davide Marcovitch, President of Moët Hennessy for the LatAMEC region (Latin America, Caribbean, Africa, the Middle East and Canada), and Marc Sjostedt, Country Manager Brazil, Chile, Uruguay Louis Vuitton. How extensive a presence do LVMH Houses have in Brazil? Marc Sjostedt: Louis Vuitton was a pioneer in identifying the potential of the Brazilian market, moving into the country before any other luxury brand had taken up the challenge. We’re celebrating our 25th year in Brazil. Louis Vuitton thus has a longstanding presence in this market, which wasn’t really well-defined in terms of brand appeal and customer experience when we opened our first store in 1989. The House gradually established its codes among Brazilian customers who are increasingly receptive to high-quality products. Davide Marcovitch: For Moët Hennessy, the first step was the creation of the Chandon domain in 1973. Produced in southern Brazil, Chandon Brasil sparkling wines have over the years become naturally associated with high-end events thanks to our premium positioning and our unyielding commitment to the best quality. More than three million bottles a year are now sold in Brazil and we’re aiming for seven million in the years ahead thanks to the emergence of a middle class that aspires to the same consumption habits as the elite. At the same time, we’ve taken advantage of changes that make the country more open to imports to establish three iconic Champagne Houses here: Dom Pérignon, Veuve Clicquot and Moët & Chandon. Despite the fact that they cost two to three times more than in France, nearly a million bottles of champagne are sold in Brazil each year, three-quarters of them from the Moët Hennessy portfolio. What are some of the distinctive factors that shape your respective markets, Wines & Spirits and Fashion & Leather Goods? D.M. : The Brazilian market was for many years centered on three types of alcoholic beverages: beer, cachaça (a low-priced distilled spirit made from sugarcane) and whisky. In the 1990s, still and sparkling wines began appearing on Brazilian tables, especially in the south of the country. Sales of imported wines have multiplied tenfold in the past 20 years, currently standing at over 100 million bottles per year. And this trend will continue with the formation of a large middle class, coupled with the potential of new markets to be captured in the north and northeast of the country, where cities like Salvador, Recife or Fortaleza are experiencing tremendous expansion. M.S. : Until a few years ago, the Brazilian fashion and leather goods market was dominated by local brands that took advantage of strong protection and high taxes on imported foreign brands. These brands have strong store networks, they run extensive advertising campaigns and their positioning is comparable to that of luxury brands. The market has evolved very rapidly in the past five years with the advent of a new middle class that embraces a culture of consumption. International luxury brands have arrived, opening stores mainly in new luxury malls that bring together everything Brazilians are looking for when they go shopping, namely a broad variety of stores, security, air-conditioning, parking, restaurants, activities for children, etc. These malls are extremely sophisticated in terms of their architecture and offer a truly high-end experience for the entire family, attracting a younger generation with a stronger emphasis on a masculine clientele. How would you define the Brazilian lifestyle? M.S: Brazilians have a pronounced taste for refined esthetics, beauty and fine cuisine. They definitely love good food and their art de vivre shares a lot with the French attitude. But their approach to luxury goods is distinctive in that shopping is also about having fun, sharing experiences, having a drink, in a more casual way… And Brazilians are very demanding in terms of service. Louis Vuitton remains a benchmark here for that inimitable French “chic” that sparks a special emotional connection. D.M: European and North American influences are palpable in Brazil. Brazilian consumers are a subtle combination of Europe when it comes to culture and cuisine, and the United States for consumption habits and aspirations for rapid social mobility. The products of LVMH Group Houses are synonymous with a refined Western lifestyle and fully benefit from this trend. In recent years we’ve also seen Brazil exporting its culture and style, what’s known as “Brazil chic”. Brazilians are showing greater pride in wearing or consuming “Made in Brazil” luxury goods, including of course Chandon Brasil!